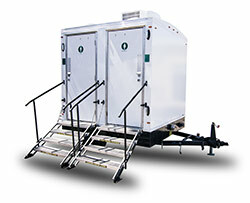 Restroom trailers in Indianapolis come in a variety of different sizes, each catering to a specific clientele. 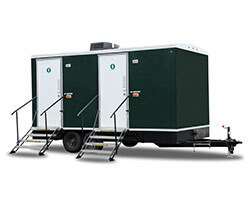 With so many options available, choosing the best restroom trailer may seem like a difficult and daunting task. 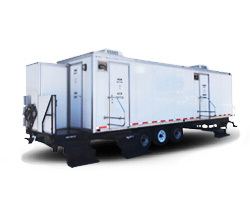 Whether planning a wedding, corporate function, store opening or construction project, our trailer team can assist. 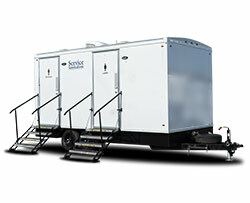 This 2 stall trailer provides a welcoming environment where comfort and care are desired. 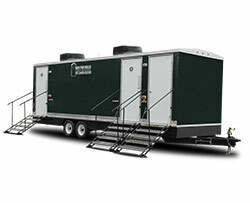 This 16-foot restroom trailer was custom-manufactured for high-traffic use and is ideal for mid-sized events, festivals, store remodels and corporate functions. This remarkably engineered bathroom trailer will exceed expectations and provide your guests with the extra touch of comfort they deserve. This stately 4-stall trailer is elegantly accented with hardwood floor, granite counter tops, and private floor-to-ceiling stalls. 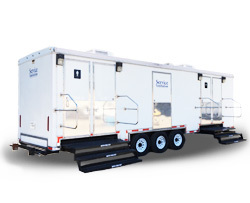 Like a work of art, the 26 foot restroom trailer is an ultra-exclusive restroom solution known for its fully furnished and spacious interiors. 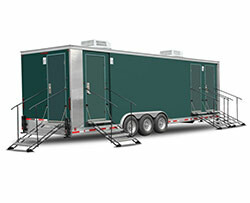 The 30’ luxury restroom trailer easily accommodates large crowds and provides a posh environment that is classy yet refined. 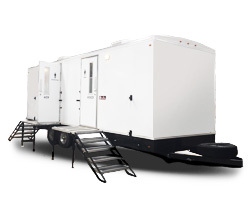 The ACSI’s practical capacity makes it an ideal choice for work sites or large events that demand spacious restroom suites. Sleek and modern, the lavish Oasis trailer provides a true escape from the outdoors, allowing you and your guests to relax in style. The Black Tie trailer offers chic and roomy accommodations for your next private event or outdoor bash.